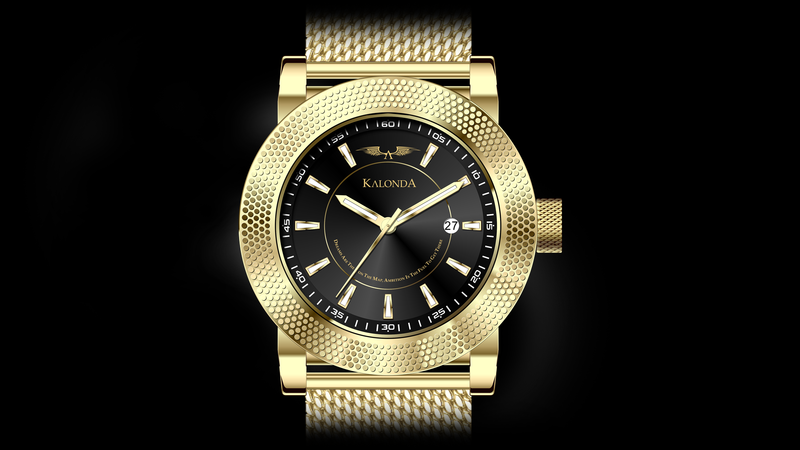 The Royal Gold watch combines the metal of kings with the passion that resides inside of the Kalonda creators to create a timepiece for the extravagant individual who feels bold as A king, strong as A lion. Gold is the color of the winner, confident and passionate, extravagant and wise. This royal color is not meant for the stubborn or the cowards, it is the color of a true lion that seeks eternal glory and wisdom. The ones who wear the color of gold shall feel the power of success, the meaning of wealth and the smell of victory. 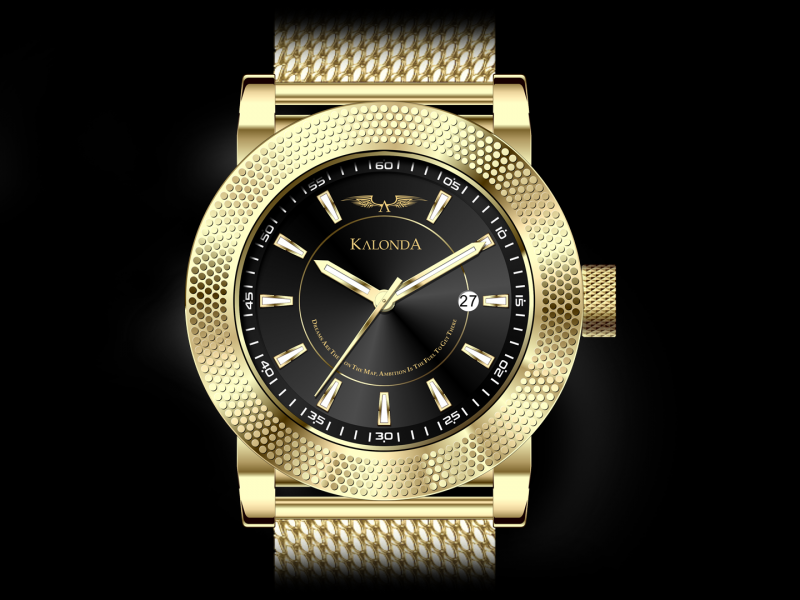 Every watch in the Royalty Collection has its own quote. 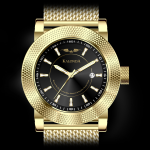 The Royal Gold Watch quotes:“Dreams are the X on the map, Ambition is the Fuel to get there” This quote has been created to motivate and remind the wearer of his passion, ambition and dreams.